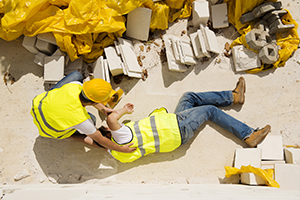 Our firm has extensive experience in dealing with cases involving serious personal injuries and death. Every case is different but experience is what counts. We offer valuable experience in dealing with injuries resulting in quadriplegia, paraplegia, disabling and disfiguring burns, spinal cord injuries, traumatic brain injuries, drowning, dog bites, choking, decubitus ulcers, dehydration, malnutrition, disfiguring scars, disabling pain, broken and crushed bones, damage to internal organs, amputation, lost sight, lost hearing, lost sense of feel, taste and smell and permanent total or partial disability from virtually every cause. We have experience in injury and death cases from a broad spectrum of causes which included among others, motorcycle, vehicular and tractor trailer truck accidents, industrial accidents, defective products and machinery, and defective vehicles. If you, or someone you care about, have been seriously injured, call Harbin & Burnett LLP today at 1(888)821-0247 for a free no obligation consultation. Let Harbin & Burnett LLP be your team of experienced attorneys who will fight for your rights.